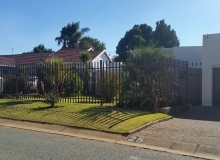 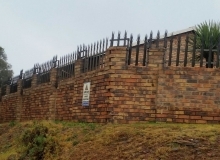 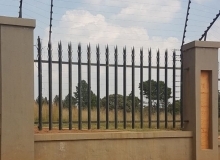 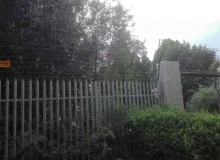 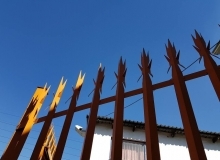 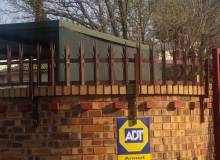 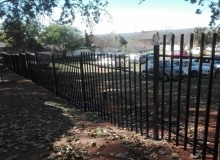 Steel Fencing, Razor Wire, Clear View, Custom Fencing and Palisade Fencing Roodepoort, Krugersdorp & Randburg Areas. 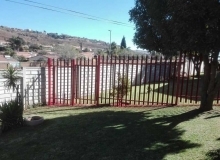 of palisade fence panels and steel fencing. 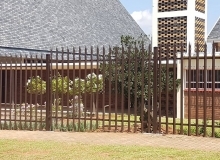 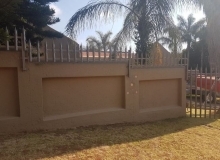 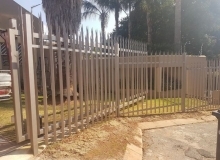 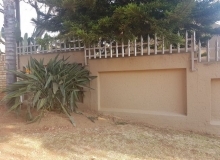 Manufacturing and Installations of Steel and Palisade fencing in Roodepoort, Krugersdorp, Randfontein, Randburg and other surrounding West Rand Areas. 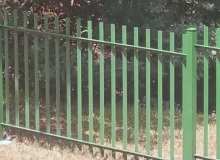 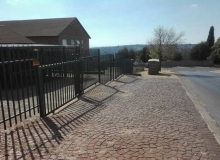 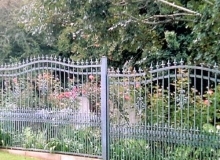 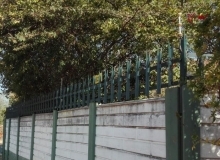 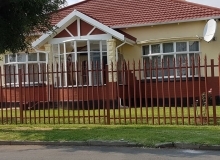 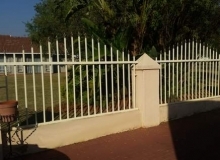 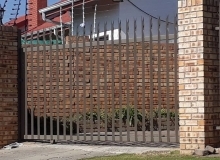 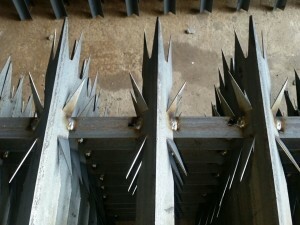 All our palisade fencing is manufactured at MF Steel in Roodepoort, it is of the highest quality and workmanship. 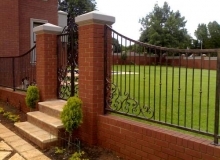 The workmanship on all our products are guaranteed for 1 year. 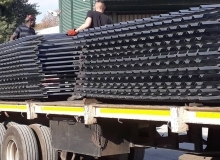 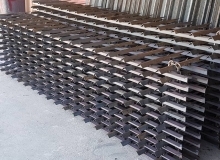 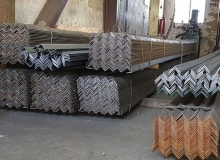 MF Steel palisades are made from hot rolled 40x40mm angle iron. 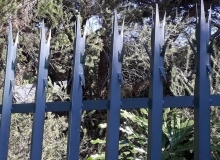 We primarily use the ferocious 7 point palisade fence head, which we found to be extremely effective in preventing trespassing on a property. 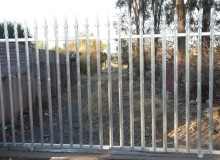 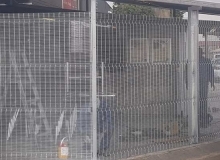 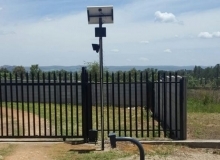 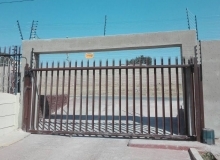 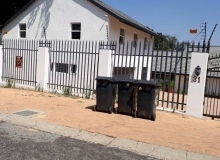 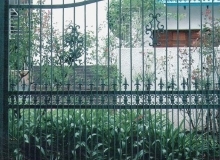 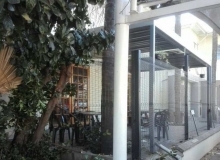 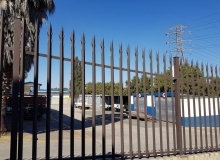 We also install Clear View fencing and razor wire and various other types of metal fencing. 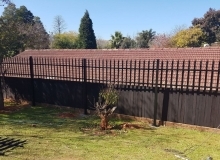 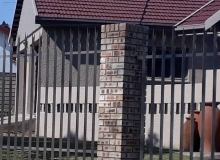 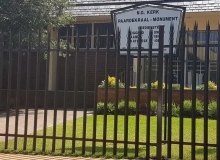 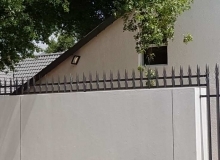 Please contact us for advice or a free quote on palisade fencing Roodepoort, Krugersdorp, Randburg (Blairgowrie, Bordeaux, Boskruin, Bromhof, Cresta, Darrenwood, Fairlands, Ferndale, Malanshof, Northcliff, Northriding, Olivedale, Randpark, Randpark Ridge, Robindale, Robin Hills, Windsor East) and all West Rand areas.